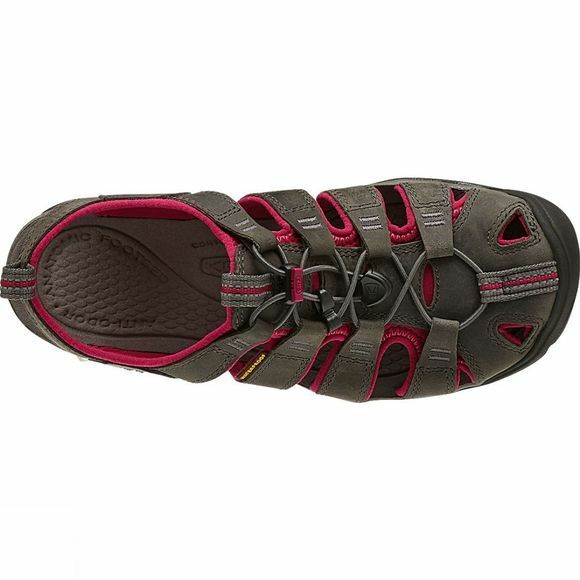 The Women's Clearwater CNX Leather Sandal can do it all. 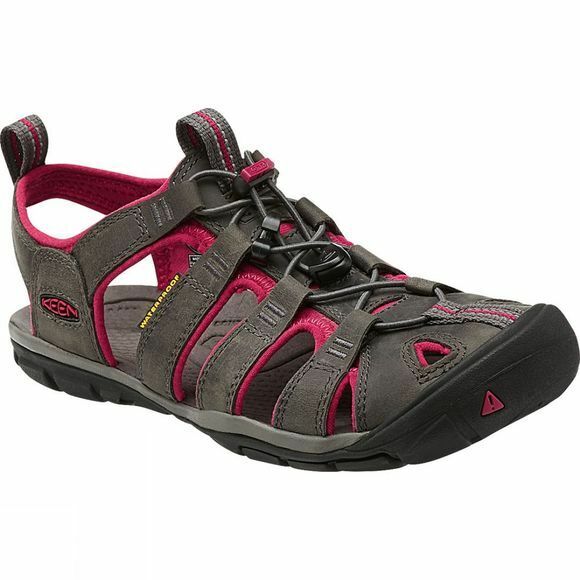 Lightweight and with a low profile this sandal looks great with shorts, capris or a skirt without sacrificing fit or performance. Signature Keen toe protection, contoured arch support, and bungee lacing provide a customised fit while the waterproof leather upper, multi-directional flex grooves and razor siping provide advanced traction on slick surfaces.